From azstarnet.com; try to ignore the Arizona player bumping into the ref and instead, focus on how cool their unis look, along the with the awesome color contrast between Arizona’s and Nevada’s helmets! 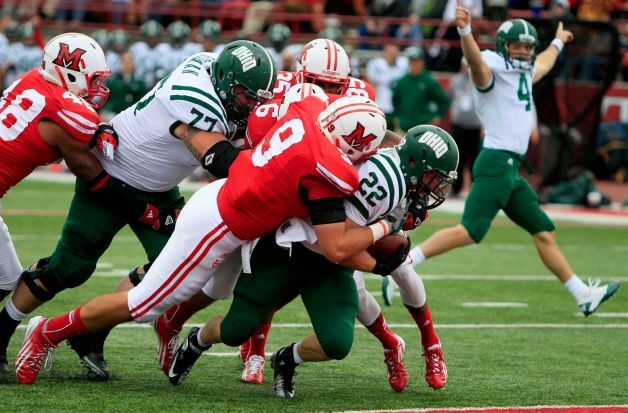 The New Mexico Bowl kicked off the season to a surprisingly auspicious beginning. I say “surprisingly,” because let’s be honest; nobody thought that the first bowl game of the year would be that swell, and moreover, it seemed as though Nevada had the game well in hand by the end of the 3rd quarter before Arizona managed to make a pretty good game out of things yet and scored 18 unanswered points to pull ahead at the end, 49-48. And to think that I predicted that the Holiday Bowl on Dec. 27 would be the bowl season’s “offensive explosion,” yet so far, the results of the New Mexico Bowl have fit that distinction more than any other of the 2012-2013 bowl span. But wait, there’s more! As more teams unveil special bowl game helmets (read: Cincinnati, Virginia Tech), the jury will still be out until Jan. 7 to decide this ultimately, but thus far, the Arizona-Nevada matchup is definitely the “most aesthetically pleasing helmet contrast,” with the Wolfpack sporting their dark blue helmets on one side, and the Wildcats sporting their special red domes on the other! Moreover, it will be very difficult for any other team to top the Wildcats for the “sartorial splendor” award, as they have set a new precedent. Normally, if a team has dark blue and red for their colors (technically, Cardinal and Navy Blue, as is the case for both Arizona and Ole Miss), the modern precedents have been something along the lines of 1) dark blue helmets, dark blue jerseys, and either white or gray pants, or white helmets, or 2) white helmets and pants with dark blue jerseys, or 3), dark blue helmets, red jerseys, and white or gray pants. What Arizona did was break through normal precedents and set a whole new one with red helmets, dark blue jerseys, and red pants. It does not get much better than that! Speaking of good games, this year’s MAACO Bowl of Las Vegas turned out to be a ‘dandy’ of a game, folks! There are times when you swear that ESPN does actually have a crystal ball in some secret location on their Bristol, Conn., campus, because they sent their front-line crew of Brent Musburger and Kirk Herbstreit to call the game, reflecting on the fact in real time that it was worth tuning in to see! Either that, or it was an elaborate rouse to get Musburger in touch with Chan Lo and the Chinese Triads to settle his gambling debts: who knows? That having been said, what on Earth was Boise State doing wearing those god-awful matte black helmets instead of their pretty metallic blue domes? Sometimes it pays to leave well enough alone; such is what Washington did with their tasteful combination of metallic gold helms, white jerseys and purple pants. Of all places, this pic came from Bengals.com! The Belk Bowl also exceeded expectations in terms of a competitive, watchable game. Only two things overshadowed Duke’s first bowl game since the mid-1990s: 1), Cincinnati’s garish, red, carbon fibre-colored helmets, a first in football helmet decor, and 2), the Bearcats ultimately won. Still, it was nice that the Blue Devils wore their tasteful royal blue helmets instead of their generic-looking white ones, which overall made for a nice helmet contrast between the two teams as they played each other in Charlotte. Moreover, keep in mind that the Bearcats pulled off the win with basically a five-man coaching staff (for purposes of comparison, college teams usually have about 10 coaches on staff, not including graduate assistants). Another very interesting teams’ helmets contrast took place on Dec. 28 in the Russell Athletic Bowl, formerly the Champs Sports Bowl, formerly the reincarnated Tangerine Bowl (basically, the other bowl game they play in the Citrus Bowl before the real Citrus Bowl game, which is now called the Capital One Bowl. Got all that?). Rutgers put up one heckuva fight against Virginia Tech, but came up a field goal short in overtime of tying the Hokies after the first round in overtime. But the contrast was nevertheless unique in that the Scarlet Knights had their newly characteristic chrome shells, while the Hokies sported new, matte maroon helmets with an orange decal of a “Hokie,” which, from what us fans can deduce, is basically a turkey bird on a roid rage. Virginia Tech has undertaken numerous helmet styling experiments during the 2012 season, some kind of interesting, some downright head-scratching. The white helmets with turkey feet clearly belonged in the latter category! Oh, and the guys at EDSBS, you boys have some ‘splainin’ to do! You ranked the Meinecke Car Care Bowl of Texas last among your list of the 35 bowls for this season. In the words of Musburger, the game turned out to be a real ‘dandy.’ Thanks to the realignment of bowls, this Texas Bowl is about the only B1G vs Big XII matchup we have to look forward to, as the Alamo Bowl no longer affords us that luxury. The game did not disappoint, as Minnesota and Texas Tech butted heads in dramatic form practically from the whistle giving the green light for kickoff. The game remained close and competitive for the whole 60 minutes, though a turning point came when a Red Raider receiver pancaked a Golden Gopher defensive back in the end zone and walloped him — right in front of the back judge. That led to the player, No. 22, to be summarily ejected from the game (and due to an arcane NCAA rule, he shall also have to sit out the opening game next year, too). LeGarrette Blunt would no doubt be proud. A third and goal near the one became a third and goal at about the fifteen. The next play was botched, leading to a field goal. Minnesota called a timeout just as the ball was snapped, and on the next, true snap, the Gophers blocked the kick! A sure TD was reduced to, well, nothing. 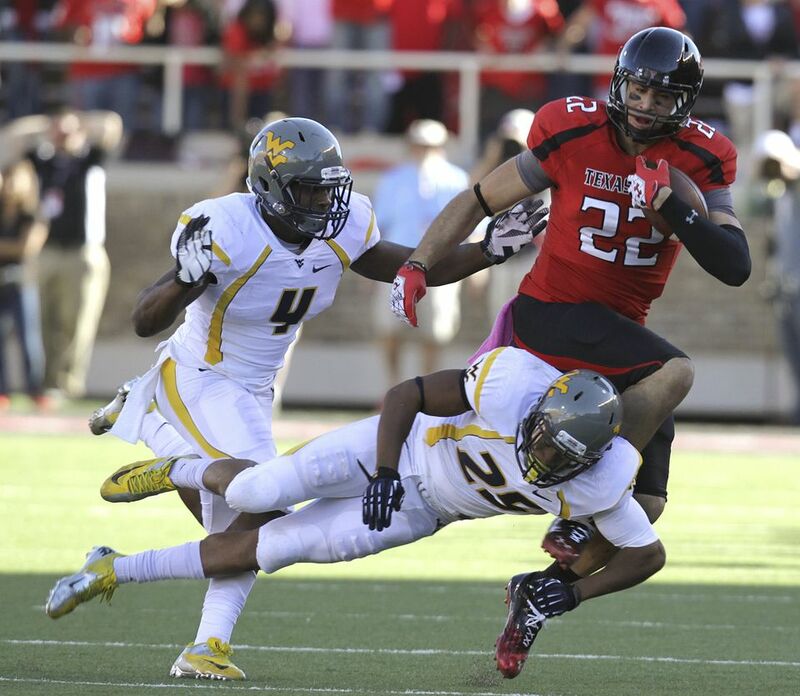 Yes, in the end, the Red Raiders won on a last-second field goal. Still, the game was riveting from the opening kickoff to the very last play, and that’s all we fans can ask for in any of these bowl games. In all frankness and honesty, the 2012-2013 bowl season has been overall underwhelming this far. The Little Caesars Bowl and the Independence Bowl (oh, my, have the mighty fallen!) have been nothing about which to write home, and similar things can be said for most of the other bowls up to this point. But having said all that, it is worth pointing out that there have been some high points thus far, and odds are, it can only get better from here. After all, Ronald Reagan himself was known to joke that if one searches through enough mounds of manure, sooner or later one is bound to find the pony! Bama passes the test: Last week’s “Ticket to die for” certainly lived up to its billing, as The Crimson Tide duked it out with the Bayou Bengals in Death Valley. A normally mistake-free Alabama reversed that trend throughout much of the game and started making more mistakes than usual. Top-notch opponents tend bring out more mistakes than usual, to be sure. In the end, Bama’s offense finally decided to start executing. This sudden development clearly caught LSU’s defense off guard, and The Tide easily scored a TD when all they needed was a field goal to tie. With only a minute to go, LSU failed to score on the second Hail Mary play. Bama passed the test against what might be its toughest opponent of the entire regular season. SEC Breathers: Between this and upcoming Saturday and the one to follow, it seems as though the bulk of the SEC, stud and cellar-dweller alike, will take a breather from beating up on one-another and instead focus their brutal energies on lesser opponents, be they, say, fodder from the Sun Belt Conference (e.g., Louisiana-Lafayette at Florida), or FCS teams. Case in point: Samford ventures up to Lexington to play Kentucky in two weeks. Alabama will no doubt easily dispatch with Western Carolina that same day. Missouri is somewhat an exception in that they will play middle-of-the-road Big East foe Syracuse. A curious annual constant is Wofford getting annihilated by South Carolina. Tennessee already had their little break with Troy. Vandy will conclude its season by taking its respective break against Wake Forest. Arkansas barely escaped from their little breather, beating Tulsa only 19-15. Auburn’s break, though, also comes two Saturdays from now when Alabama A&M comes to the Loveliest Little Village on the Plains. Even Texas A&M is getting in on the act and playing Sam Houston State on the 17th. 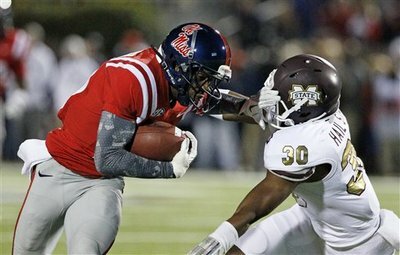 Curiously, no such break comes for Ole Miss, Mississippi State, or LSU. Still, do the teams that are taking a break, either this week or next, feel that their conference schedule is so brutal that they think they need such breaks before it is time for the ol’ sprint to the finish? As a suggestion for improvement, surely Notre Dame could be squeezed in to one of these schedules, as the Irish feel they are “back,” and could be given an opportunity to test that idea. 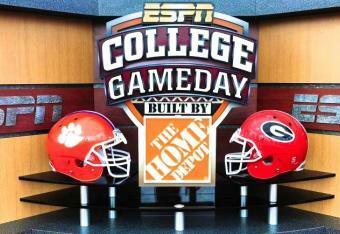 It would give the fans a lot more excitement than Wofford or Sam Houston State, that’s for sure. Jekyll-and-Hyde Longhorns: At first, it seemed as though Texas was caught off guard by West Virginia’s high-powered offense and narrowly lost in a high-scoring game. That idea quickly vanished in Dallas the following week when the Horns got embarrassed by Oklahoma. Squeaking by Baylor in an even more high-scoring affair than that against the Mountaineers raised further concerns about Texas’ defensive woes (poor fundamentals, inability to make basic tackles, etc.). Then, inexplicably, they win on the road. And not just on the road, but in Lubbock, against Texas Tech, which in recent years has been one of the toughest places to play in the Big XII Conference. Even more inexplicable is, while Texas did have occasional recurring issues with their defense (the same sort that has visibly plagued the Longhorns for the last month), by virtue of holding the Red Raiders to only 22 points, the defense clearly made key stops this time. Granted, Texas Tech’s offense has been a tad inconsistent this year, scoring 49 points one week then being held to 24 the next, and so on. Nevertheless, they walloped West Virginia and won in a shootout over TCU, making everyone take notice of their high-powered offense. The “so-what” in all of this is that one of the hallmarks of a well-coached team is that you know what sort of performance to expect from week to week. Was the past month a temporary slump for Texas, or are they to be up for one week, down for the next? Time will tell if their defeat of Texas Tech has halted the bleeding, or if they will perpetrate the apparent “Jekyll-and-Hyde” mystery with a sub-par performance against Iowa State next week. Conversely, if they obliterate the Cyclones at home next week, it will bode well for the rest of the season, when they will need it the most against TCU, followed by No. 2 Kansas State. 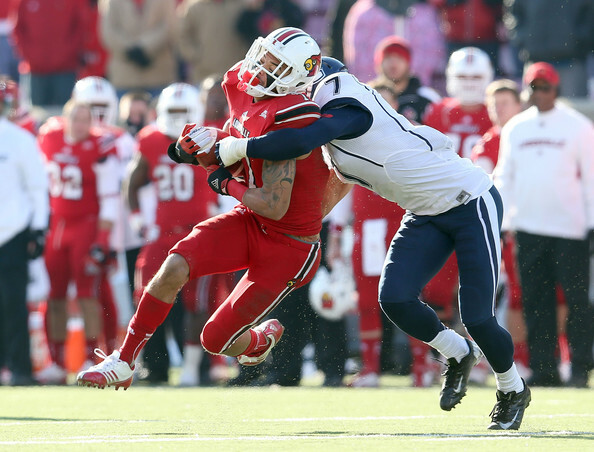 Quietly undefeated: The Louisville Cardinals are 9-0 for the first time in program history. Not even Bobby Petrino managed such a feat when he put the Cards on the map and coached them to their first ever Orange Bowl-berth/victory. The only team that defeated them in that memorable 2006-2007 season was Rutgers, in Piscataway, N.J. Interestingly enough, that is where Louisville concludes its regular season this year, potentially for all the marbles in the Big East. But before the Cards look too far ahead, they need to focus on the next game. Syracuse is their next opponent, and Louisville takes them on in the Carrier Dome, where they are tough (though not impossible) to beat. Coach Charlie Strong would be well-served to remind his sophomore-dominated team that this upcoming match-up is a potential trap game, and that they must focus their preparations accordingly. Another one bites the dust: The University of Kentucky opened up the floodgates in 1996 for a whole slew of coaching changes at years end when they fired Bill Curry. Soon after that, the inept Jim Colletto of Purdue resigned, and at season’s end, so did Lou Holtz and Notre Dame and even Gene Stallings at Alabama, just to name a few. Could UK have started a similar apparent chain reaction in 2012, having just fired Joker Phillips? Time will tell. Joker was, by all accounts, an honorable representative of the Wildcats, and A.D. Mitch Barnhart was lavish in his praise of the man in an open letter on UK’s official website. Ultimately, it was a business decision. Phillips simply lacked the skill set to effectively lead the largest revenue generating division of UK’s athletic brand (he was 12-23). At best, only about 10,000 fans showed up at Commonwealth Stadium to see the Wildcats get trounced by traditional conference bottom-feeder Vandy. Obviously the program has been headed in the wrong direction for the past couple of years, and Mitch Barnhart made a prudent business decision to try to rectify this problem. When I teach my course in American government at my community college in Louisville, one thing I have taken to doing early in the course’s term is to hand out a sheet to each student with a list of important rules in physics/economics. My rationale for this is to get the students thinking about the potential consequences of certain actions on the part of government. One such rule I lay out for them is thus: “Nothing is static.” Just try to disprove that rule. After all, nothing is static in the economy, nothing is static in our own interpersonal relationships, the climate is certainly not static — regardless of what the enviro-socialists want us to think — and indeed, nothing is static in the Solar system, not with variations in solar radiation output that have implications for the temperatures on this planet as well as for Mars and the Gallilean satellites around Jupiter. The recent announcement that Texas A&M will depart the Big XII Conference for the Southeastern Conference come June of next year has reminded me of this rule once again. Though this is not the first move of a D-1A (pardon me, Football Bowl Subdivision) school to shake things up a bit regarding conference affilition, this one move could open the floodgates for radical conference realignment, the likes of which none of us have seen in our lifetime. Most moves up to this point seemed fairly self-contained. When the Southwest Conference folded after 1995, the top four teams in that conference joined the Big 8, thus giving birth to the Big XII. The other four teams disbersed, many initially ending up in Conference USA, which banded together lots of erstwhile mid-majors and independents. The arrangement within the Big XII was one that on paper made geographic sense, at least longitudinally (much like the erstwhile Pac-10), with Nebraska the anchoring power in the north, and Texas the anchoring power in the south. Furthermore, should Texas have a down year, Oklahoma was eventually strong enough to fill that power gap on the southern end. The switch-ups we witnessed earlier last decade did not seem to portend major realignment, either. The only thing that Miami, Virginia Tech, and Boston College bolting from the Big East to the Atlantic Coast Conference amounted to was to question whether or not the former still deserved to have a berth in the BCS bowl games. All that was put in jeopardy with Nebraska bolting for the Big Ten after last season. Less consequential was Colorado moving to join the Pac-10, now the Pac-12. As things currently stand, the Big Ten now has 12 teams, and the Big XII has been reduced to nine, or at least will be with the Aggies’ imminent departure. This current state of affairs raises two simultaneous possibilities. For one, many thought that even though the Cornhuskers left for the Big Ten, the Big XII could still limp on, possibly even bring in new up-and-coming teams to fill the void left by the Huskers and the Buffaloes. With A&M soon to leave, the death knell for the Big XII has been all but sounded. Even though, at this moment, Oklahoma and Texas both remain, and Oklahoma State would add increasing credibility, given their up-and-coming status (thank you, T. Boone Pickens), the gradual disintegration of the conference, first at the northern end and now at the southern end leaves many to conclude that more dominos shall inevitably fall. One such departure has already pushed Southeastern Conference membership to a future number of 13. Further speculation has been fueled as to whom else the SEC might court. Already, conferences such as the Pac-12 have been making major overtures for the Sooners and the Cowboys to join them. 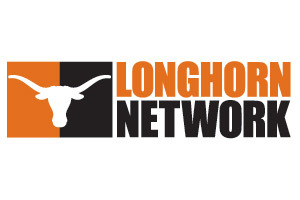 The Longhorns are an even more juicy target for conferences as well, though UT, what with its special brand and its own sports channel in the newly-created Longhorn Network, has the prestige, winning tradition, not to mention geographic advantages to be successful as an independent. Indeed, what we may be witnessing is Texas becoming the Notre Dame of the 21st Century in terms of athletic prestige, winning tradition, privileged status, and ability to attract top recruits. But, in returning to the point of the SEC’s burgeoning membership, 13 could be a magic number, magic in the sense that it creates the possibly for that number to grow further, not just for the southeastern juggernaut power, but for conferences elsewhere. As mentioned earlier, the possibility persists that Oklahoma and Oklahoma State could end up in the Pac-12, bumping their lucky number up to fourteen. Moreover, it is not inconceivable that Texas could join that new mega-conference as well. USC plus the Sooners plus the Longhorns equals one formidable conference indeed. Iowa State could end up following suit in a different sense by joining the Big Ten (Nebraska is already there, and in-state rival Iowa has been a long-time member). Geographically, that theoretical move is quite logical. Where Kansas, Kansas State, Baylor, Missouri and Texas Tech might end up — again, should the dominoes continue to fall — is anybody’s guess, though the Mizzou Tigers might end up joining the Big Ten as well. That possibility has been broached several times before, in fact. My only reservation against that is, can one conference abide three different teams whose colors are (officially) Old Gold & Black? While there could be a scramble for a would-be disintegrated Big XII’s table scraps, the Southeastern Conference might try to bring in other powers to join their juggernaut league (Florida State and Virginia Tech have been listed as possibilities). 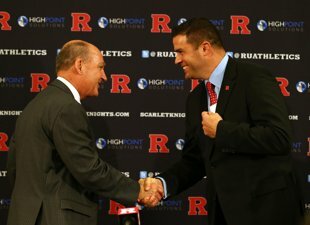 Might such a conference cannibalization prompt the ACC and the Big East to join forces? Given that Texas A&M has turned its back on its long-time rivals and all-too willingly allowed itself to be used by the SEC, perhaps all of us ought to rethink what is possible. The bottom line in all of these prognostications is that we could be witnessing a radical realignment of teams into mega-conferences, which in turn will have major implications for bowl game affiliations, and even coveted BCS eligibility. If the Sooners and Cowboys end up joining the Pac-12 and that move makes no sense to many on a geographic level, just keep in mind that Texas Christian University — the recent Rose Bowl champs — are about to join the Big East. The new paradigm is that geography is hardly a constraint anymore when it comes to conference affiliation, and it’s all part of the brave new world of NCAA football realignment about to happen before our eyes. What we fans and observers of big-time college football thought were secure affiliations over the past 15 years have turned out to be anything but. Once again, the firm rule about nothing being static has held.